It could be the end of the hashtag. 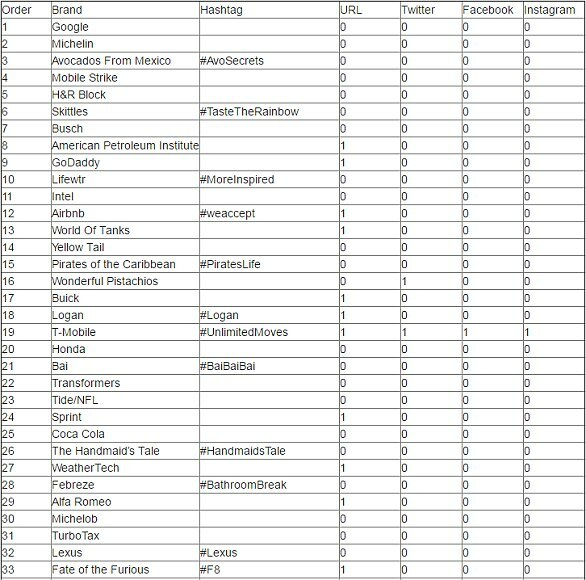 A new report has revealed that out of the total 66 ads that aired during Super Bowl LI, only 30 of them included a hashtag - while 41 percent displayed the firm's URL. The shift was a new strategy for corporations to bring more traffic to their websites, rather than just gaining popularity on social media - with just five mentioning a Twitter handle, and four a Facebook page. The statistics come from Marketing Land’s sixth annual Hashtag Bowl that counts hashtags, social media mentions and URLs in ads shown during Super Bowl, reports Danny Sullivan for Marketing Land. ‘We tabulated only nationally shown ads and only those shown between kickoff and the end of the game,’ shared Sullivan. 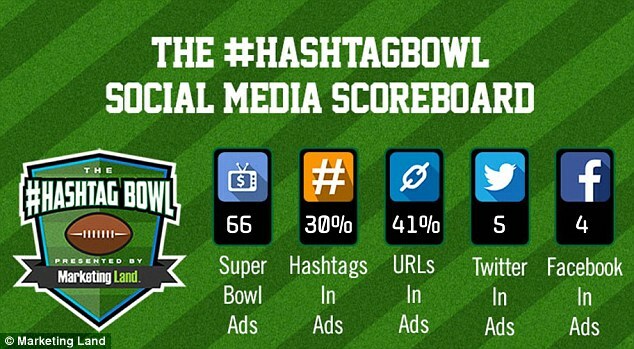 Super Bowl XLVIII, which was played in 2014, broke the record for the most hashtags used in ads - 57 percent. 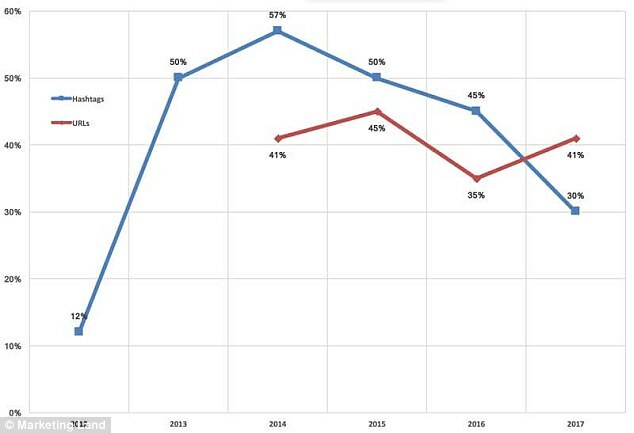 Both 2013 and 2015 had 50 percent, but in 2012, only 12 percent of ads included a hashtag. 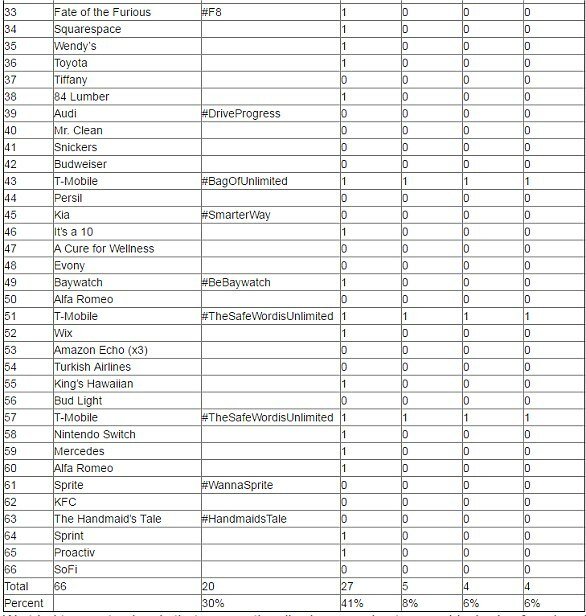 Based on the total 66 ads, only 20 of them included a hashtag - 30 percent. While URLs were show in 27 or 41 percent of ads overall. Marketing Land also examined how many times social media platforms were mentioned in ads and found that Twitter had five mentions, while Facebook and Instagram both had four. In August 2007, Chris Messina, a social technology expert, posted the first hashtag in a tweet – ‘#barcamp’. ‘how do you feel about using # (pound) for groups. 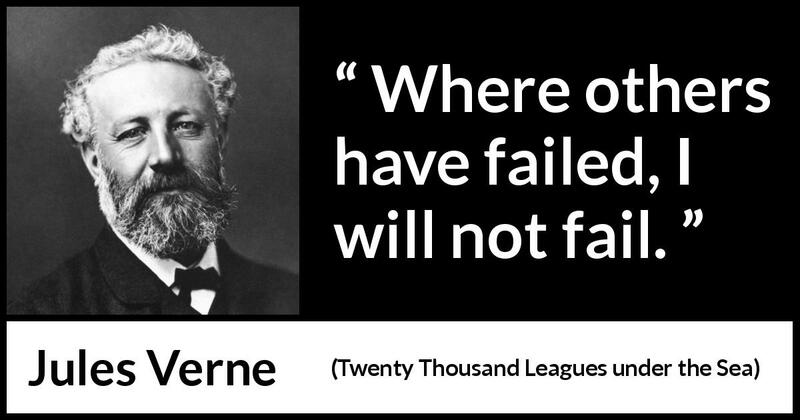 As in #barcamp [msg],’ Messina wrote in his tweet. Messina posted it as a way to spark online discussions about Barcamp, a global technology unconference gathering. Evan Williams, Twitter founder, admitted that when Messina shared the first hashtag, he didn’t see the concept becoming popular. Messina also began informing other Twitter users how hashtags could be used to organized tweets, which created ‘inner circles’ among users interested in the same topic.